I wanted to take a break from doing videos and post a simple Face of the Day Blog Post. I actually wore this look on New Years Day. My friends and I went to an Atlanta Hawks Game - my first real NBA game. It was so much fun! Just in case I got my face plastered on the jumbo screen, I wanted to make sure I looked decent. 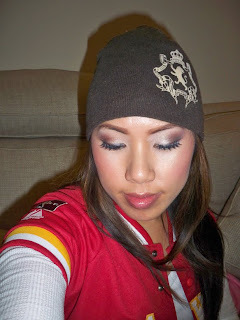 I went for a neutral look that wouldn't scream overly made up for a sporting event. 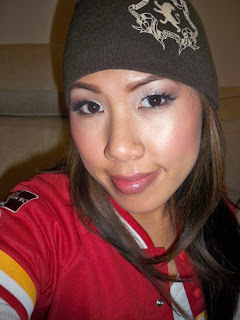 Back then, I was still testing out my Sigma Makeup Beauty on the Go Kits. I used the Neutral Shades Kit and the Highlight and Blush Kit. I like how the look came out fresh and bright but not too much. Stay tuned for my next Sigma Makeup Giveaway on Friday! What's natural for you is too glam for me, but it is GORGEOUS on you! Love your blog. It's simple yet beautiful and gives you a refreshing look. Love it! I love your blush and highlight in this video! A very on the go look! :D Love it! Um, why is my Captcha word: fecess? Feces?! Ew! LMBO!